News ! iStick Power Nano With MELO 3 Nano In Stock ! Home / Eleaf / Eleaf iStick Power Nano / iStick Power Nano / Melo 3 Nano / Melo 3 Nano Atomizer / Nano Box mod / News ! iStick Power Nano With MELO 3 Nano In Stock ! Compact yet efficient, the iStick Power Nano delivers a satisfying amount of vapor at 40w maximum output and comes with various output modes for different vaping experiences. 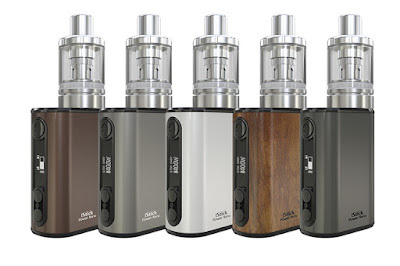 The MELO 3 Nano can easily be refilled with e-liquid by removing the top cap only. With the new ECML 0.75ohm Head, this optimal match will give you a great joy in vaping with nice flavor especially for mouth to lung inhaling.